Given that the mascot for the 1984 summer Olympic Games held in Los Angeles was Sam the Olympic Eagle, it’s not surprising that the Muppets were invited to participate in a television special commemorating the games. 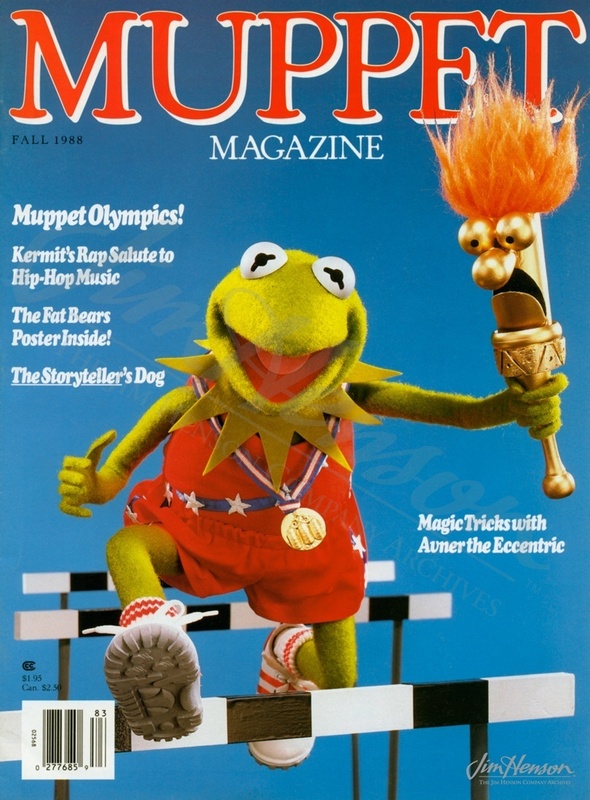 An Olympic Gala, produced by Jerry Weintraub who at one time had been business partners with Jim’s agent/manager Bernie Brillstein, featured numerous celebrities (many of whom had appeared on The Muppet Show) and aired on ABC to launch the Games telecasts in July. In an earlier sign of support for Team USA, Jim had provided an autographed Miss Piggy glove and letter of authenticity to the US Olympic Committee for a fund raising auction. 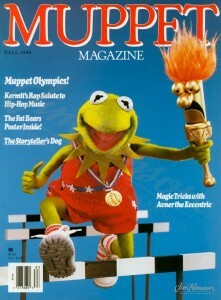 The Muppets celebrated the 1988 Games with an Olympic-themed cover for Muppet Magazine. This entry was posted in 01-January '84, 1984, Muppet Specials and tagged Bernie Brillstein, Cheryl Henson, Jerry Weintraub, Miss Piggy. Bookmark the permalink.